Does your operation rely on propane powered forklifts to move materials and freight in your warehouse, shipping yard, or for loading and offloading trucks? If so, you know that having a forklift go down hurts your overall efficiency and can cost your company time and money. It’s bad enough when a forklift breaks down but when it stops working because you ran out of propane and can’t get a delivery quickly then you’ve got a provider problem. Northwest Propane is a forklift fueling services company that can assist you. Is your current provider is letting you run out of propane? We operate Monday through Saturday and even check our customers’ holiday schedules to make sure you have the fuel you need. Tired of having to schedule and wait on a delivery? Northwest Propane can auto schedule forklift fueling services and route deliveries for companies using 8 or more cylinders per month. Have special delivery or invoicing instructions? We offer customized forklift fueling services for your company’s unique and individual needs. 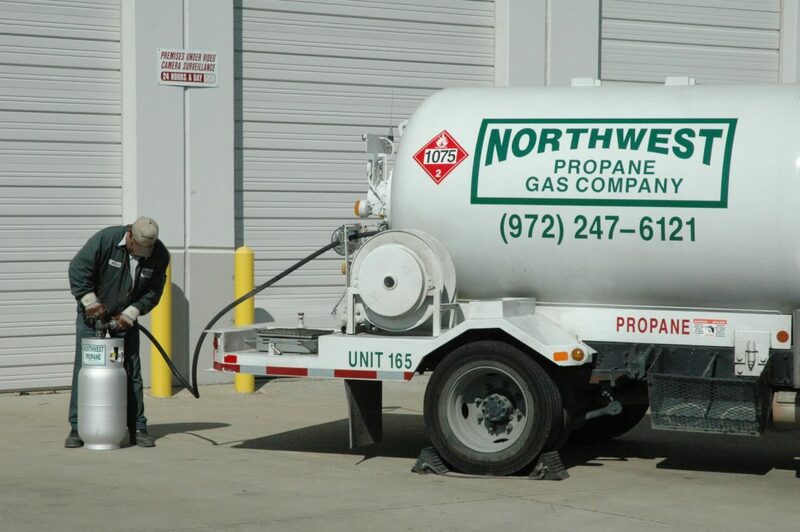 Contact us today at 972-247-6121 or order@northwestpropane.com to learn how our on-site propane cylinder refueling or forklift refueling station programs can save you time, money, and hassles. Lowest pricing due to less labor and time required of Northwest delivery drivers. This allows us to pass the savings on to the customer. 24/7 refueling capability with either scheduled deliveries or electronically monitored supply volume. 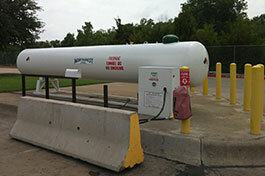 A forklift refueling station allows for propane refueling capability for other applications like heating cylinders, propane-powered vehicles, floor buffers, etc. You’ll never get an out of state call center when contacting Northwest Propane. Our locally managed dispatch centers handle everything from delivery scheduling to account management and billing because the local manager knows your account.